Scholarships - Eastern Wyoming College - It's A Great Decision! 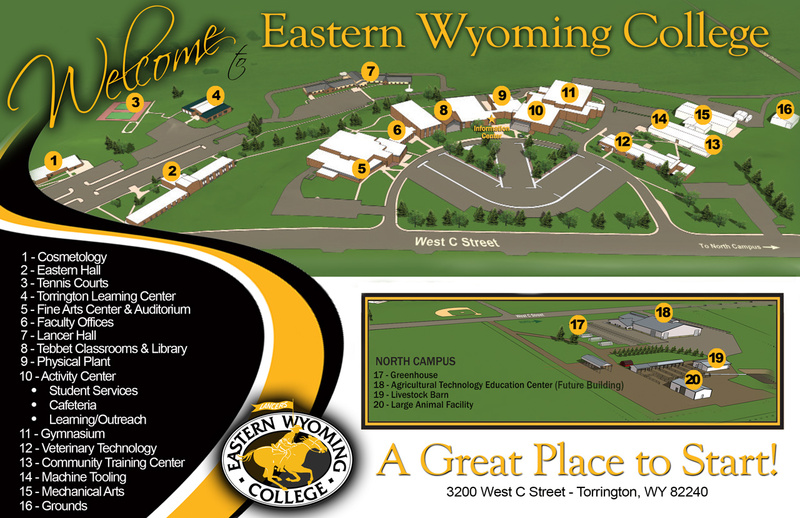 Eastern Wyoming College offers Foundation, institutional and private donor scholarships and activity grants. Students can apply for most scholarships EWC administers via our online scholarship application. Students can apply for Fall, Spring, and Summer scholarships through this application. Provide an official high school (or high school equivalency) transcript; a final, official high school transcript with your graduation date must be on file in order for state and federal aid to be disbursed. Provide official college transcripts from any other colleges you have attended. It is also highly recommended that all students complete the Free Application for Federal Student Aid (FAFSA). Many scholarships require information from the FAFSA to determine need. The FAFSA must be completed every year. While the majority of scholarships require no special program of study, others are designated for students pursuing a major in areas such as: agriculture, art, business, criminal justice, education, health, history, psychology, welding, etc. Eligibility criteria differ from one scholarship program to another. Criteria from various scholarship programs may relate to GPA, credit hours completed, high school affiliation, county of residence, organization membership or affiliation, enrollment level, etc. Most scholarships require, at a minimum, a GPA of 2.0 and half-time enrollment. See the Financial Aid and Scholarship Guide for a summary of scholarships EWC offers, descriptions and criteria for eligibility for each. Apply for EWC scholarships online! The EWC online Scholarship Application is designed to allow you to quickly enter important data that helps determine what institutional or Foundation scholarships you might be eligible for at Eastern Wyoming College. You may stop at any time during the application process and return to continue/check your data, complete individual application requirements and check on awarding progress. Provide general demographic information, complete some academic and qualification questions and see what scholarships you may be eligible for! Be sure to check back into your account often for new scholarships you might be eligible for that require answering some additional questions. Current students who have a MyEWC login and password can apply for scholarships directly through their EWC account. *First time logging in? Click “Register.” Create an account and apply for, update and track your scholarship application until you start at EWC in 2019! March 15 is the priority consideration date for scholarship applications (however, highly qualified applicants may be considered for scholarships at any time). Any applications received after the priority date will be considered on a “first-come, first-served” basis. You may continue to update your application and apply for new scholarships throughout the year. Please note: summer semesters are listed as a separate option on the application, so if you wish to be considered for summer scholarships, you must select that option (and any other semesters/years that you wish to be considered for scholarships). Please view the list of other scholarships available from EWC that require paper applications or have other requirements, like trying out for a music or athletic award. Also view the list of opportunities for scholarships awarded and administered by outside organizations! The State of Wyoming also offers the Hathaway Scholarship to eligible Wyoming Residents. Would you like to enhance students’ educational opportunities through scholarships? Contact Institutional Development at 307.532.8304!